Greater New England All things architectural or urban in Greater New England, beyond the boundaries of Boston Metro. I'd like to see more "lifestyle" developments in Maine. This seems like the perfect spot for one. Dense residential housing/neighborhood with sustainable retail/restaurant development.....think Starbucks, Walgreens, Jamba Juice, Supercuts, Trader Joes, banks, etc. I really like the concept of the old-style self-supporting neighborhood that includes dense housing plus retail and other commerce to support that neighborhood, like a corner store, laundrymat, bakery, hardware store, pharmacy, etc. Of course, that's what downtown Westbrook was before it was gutted by Urban Renewal. What? We have a corner store (with a parking lot) a laundromat (with a parking lot) a bakery (with a parking lot) a hardware store (with a parking lot) and a pharmacy (with a huge parking lot). And what's the first thing brought up in response to any proposed downtown development? Where's everyone going to park? While I agree in every way in principal with your thoughts for the residential side of the pipe dream formerly known as Stroudwater Crossing, or Clarke Farm, or Prides Corner School (In fact you all but quoted my responses to the survey for the Comprehensive Plan approval) I expect another Conner Ln, or Miles Dr type development - at best an Amy Ln for Stroudwater and Clarke Farm, and Prides Corner School redevelopment is already setting the bar at Brydon Farms level. I expect another Conner Ln, or Miles Dr type development - at best an Amy Ln for Stroudwater and Clarke Farm, and Prides Corner School redevelopment is already setting the bar at Brydon Farms level. Yeah, that's what I'm figuring will go there as well. By the sounds of it the Clarke Farm development is going to put the single-family homes to the rear of the property and focus more on multi-family construction on the Spring Street side. In other news, it appears that Westbrook is joining the conversation on outdoor music pavillions in the area. On the heels of the venues proposed on Thompson's Point in Portland and Spring Point in South Portland, Westbrook is now proposing a smaller one (1,500-3,000 people) in Riverbank Park. There's an article in the American Journal today about it. It hasn't been posted on line yet, but I'll post it here once it's up. I have to say, I love this idea. There's all of the open space in between the current band shell and the American Legion building that would be perfect for something like this. I may try to get involved in the planning on this one, since I have some experience from my college years in concert promotion and production. Just to add, I don't think this is necessarily going to come down to one venue being built or the other. This and the South Portland venue could both work. Down in MA you have both the Comcast Center and the Bank of America Pavilion. Bands that aren't big enough to fill the bigger Comcast Center play the Bank of America Pavilion instead. So, the bigger acts could play in the SoPo venue, while the smaller acts could play at the Westbrook venue. Looks like Westbrook has the field all to itself now that John Cacoulidis has pulled the plug on the proposed Liberty Ship Pavilion. Could Westbrook be host to Maine's first Costco and Greater Portland's first Market Basket? And what is that other large building for? "He said he might return to the Westbrook Planning Board to approve changes to the original plan, such as a new configuration for interior traffic flow or a residential component to the project." This would be a great location for some high-rise residential development, especially since there are no wealthy transplants living nearby who are afraid that tall buildings will cause hurricane force winds on clear sunny days or that the buildings themselves will eat them (yes, that's a not-so-subtle dig at our good friends at Keep Portland Livable). Tall structures here would have views of both the Portland skyline and the Presidential Range, since this property sits slightly elevated compared to the surrounding area. Is the entire TravelLodge (old Susse Chalet) coming down, or just the portion that parallels the Turnpike? I notice that both portions are gone in that rendering. All comments are my own and do not represent the views of my employer or any other person. There's a Hampton Inn & Suites going there. It's being developed separately by the owner of the Travelodge. 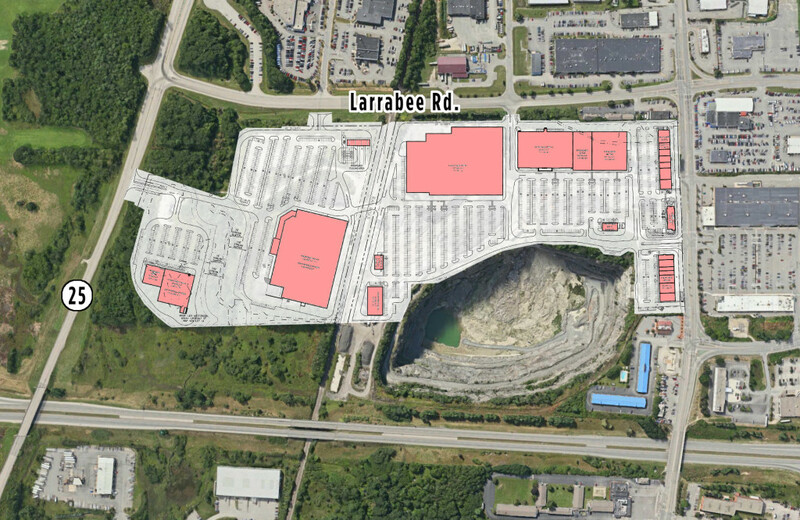 Seems like there are a few big new developments being built very close to the turnpike, which is a risky move since MTA is looking to widen the Scarborough- Portland segment of the road starting in 2019. According to the plans the new hotel is going to sit further back on the property closer to the pit (future lake), so I think they'll be fine. The bridge at Brighton Ave. was already expanded to handle the additional travel lanes below many years ago before the widening effort was halted at Scarborough, so I think the impact of construction will be minimal. I'm really hoping the owners of the Motel 6 decide to either renovate or tear-down and rebuild, because that thing has become an eyesore (it was an eyesore when it was built and has gone steadily downhill ever since). It'll stick out even more with the new Hampton Inn across the street and the new shopping plaza. Heck, even the Super 8 closer to the turnpike exit is even going through some renovations. 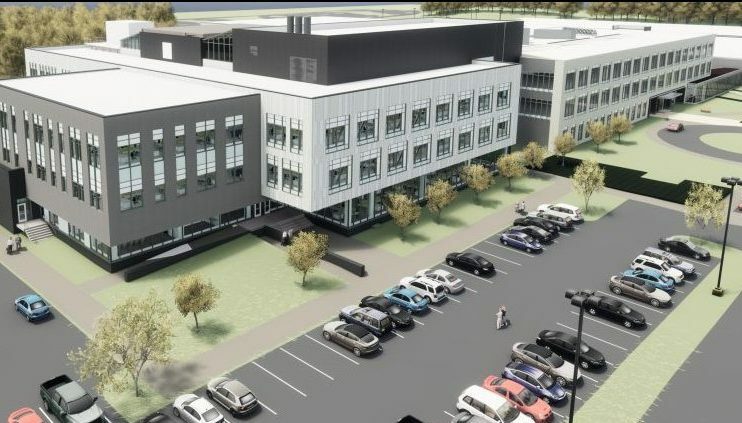 IDEXX is planning a 135,000 square foot addition to their Westbrook Headquarters (as office space) as well as a parking structure and recreational trails. They say the aim is to accomodate 600 more employees.